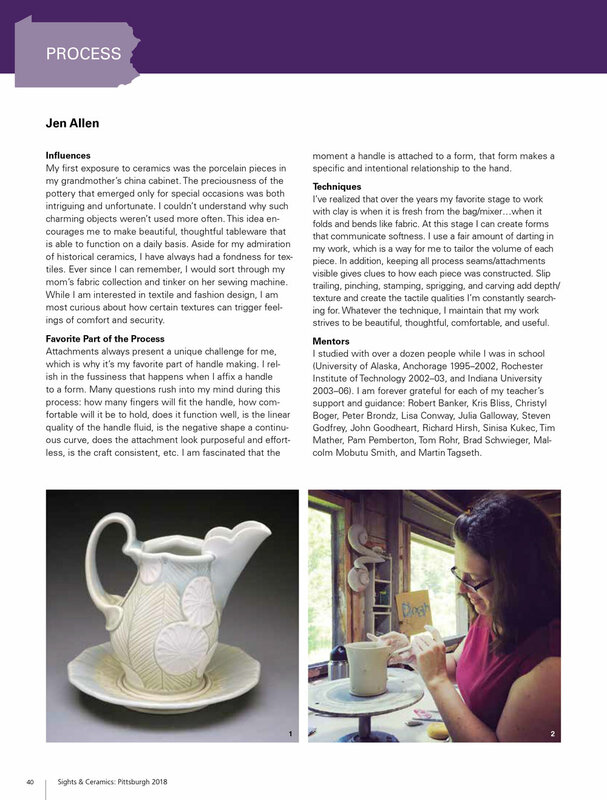 The article below was originally published in the special NCECA Guide, the March 2018 issue of Sights & Ceramics: Pittsburgh, pages 40, 41. http://www.ceramicsmonthly.org . Copyright, The American Ceramic Society. Reprinted with permission. My grandfather, W. Bryan Allen, was a WWII combat photographer. His accounts of the war help piece together a history of tragedy and hope. A couple of years ago I wrote a few words and shared some of my favorite photographs from his tour in Europe. I wrote a brief post about one of my all-time heroes. Link to my post below or view Bill Strickland's Ted Talk. MacArther Award winner and former at-risk youth, Bill Strickland, elevates impoverished communities by providing dignity through world-class expectations, stunning architecture, sunlight, flowers, affection, and hope. In the spirit of ideas worth spreading, TEDx is a program of local, self-organized events that bring people together to share a TED-like experience. I took a moment to share my thoughts about making a change in my work. Do you have a favorite pot in your collection? What criteria makes your favorite pot top notch? I share why my favorite is one of the most unassuming pots. Back in 2010 I was asked to write about my career thus far. On my old website, I hosted a monthly series of interviews with potters at all stages of their career. Please give it a look. Potters interviewed include Sarah Jaeger, Peter Brondz (pictured), Joseph Pintz, Meredith Host, Sue Tirrell, Simon Levin, Deborah Schwartzkopf, Micheal Kline and many more! Search the Potter of the Month Series here!